Take a seat for part two of our best gaming desk chair voting. 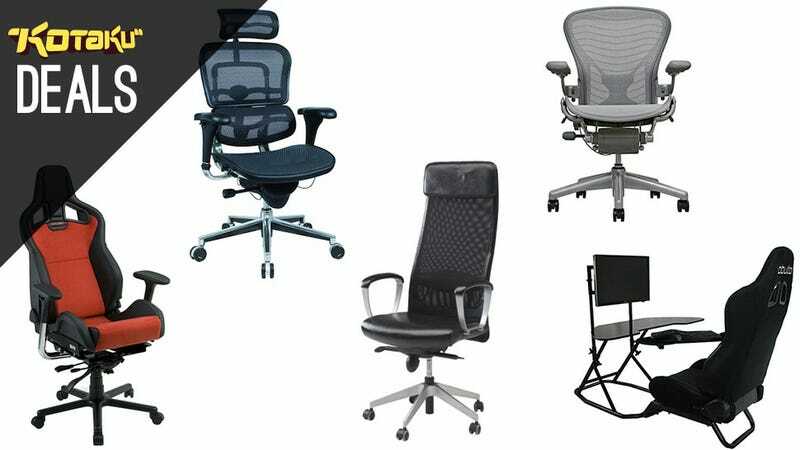 We had you nominate your favorite chairs, and now it's time to select a winner from your five nominees. What&apos;s The Best Gaming Chair For Your Desk? We're doing things a bit differently this time- there's no poll. Simply head down to the comments section, find your chair of choice, and put a star on it. Feel free to tell us why you're choosing (or not choosing) it while you're there.